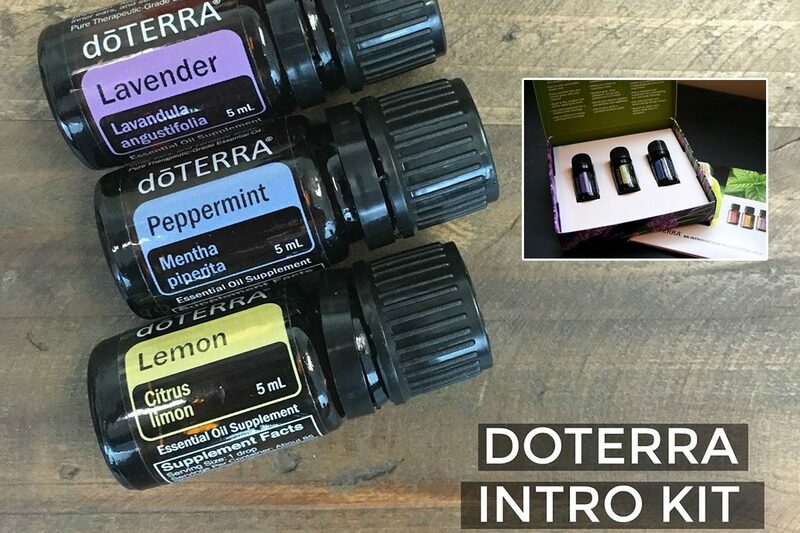 The doTERRA Intro. 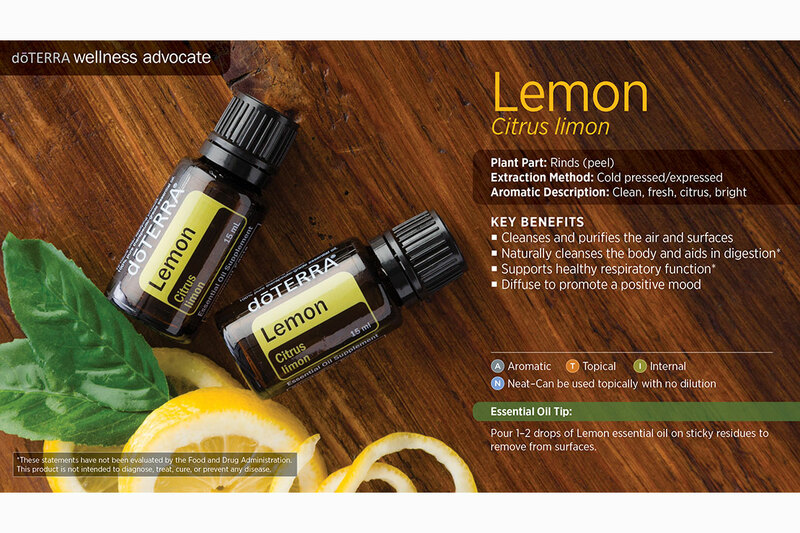 Kit (which includes the doTERRA Lemon Essential Oil, Peppermint Essential Oil & Lavender Essential Oil oils) has so many widely varied and valuable uses! Below are 101 “Tried & Tested” Uses for the doTERRA Intro. Kit that you will absolutely love! You won’t believe how many different ways you can use doTERRA oils! Are you interested? Get yours shipped directly to Samatva studios today! 1. Calm a Tempest. 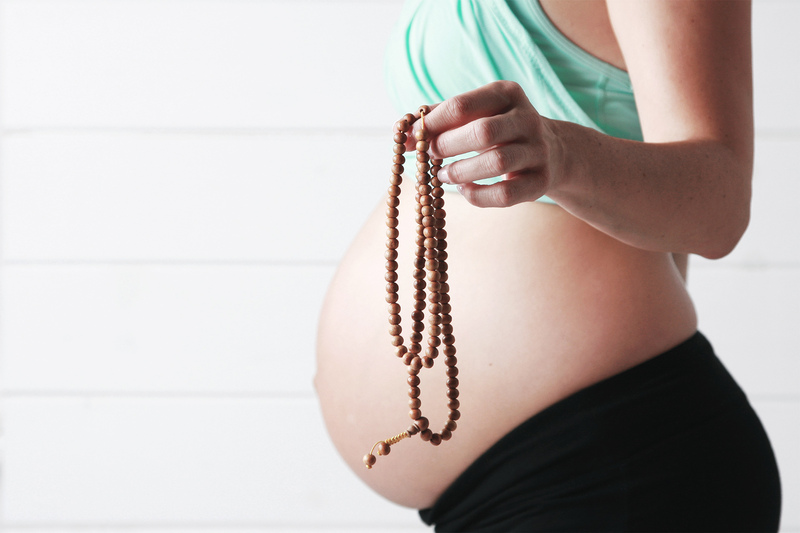 Just one drop of peppermint oil rubbed on the stomach or taken internally can help reduce bloating, gas, and occasional indigestion. A must-have when traveling! 3. It’s About Air Flow. Diffuse peppermint oil (or apply topically on the chest) to promote healthy respiratory function and clear breathing. 6. Cool Your Tootsies. 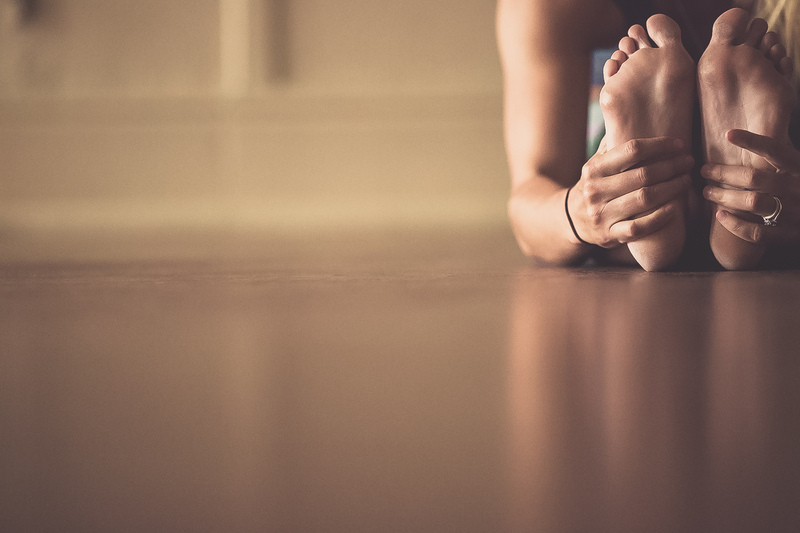 If you’ve been on your feet all day or religiously wear hard soled shoes, just add peppermint oil to a cold water compress to cool your overworked, over heated tootsies. 8. Energize Your Lather. Some shampoo and conditioner combos can make you want to go back to sleep. No energy. No pep. No fun. Not good. Add peppermint to your potions to stimulate the scalp, energize and wake up! 9. Seasonal Threats Beware. Peppermint oil has the ability to relax muscles in the body — the same muscles that line our airways and become affected when outdoors. Peppermint oil (with lemon) should certainly be another arrow to minimize the effects of seasonal changes. 10. Chase Away Tension. A few drops of peppermint dabbed on your temples, neck and sinuses can quickly spring into action and chase that tension away! 13. Add a Refreshing Kick to Your Tea. Just one drop of peppermint oil can add life to any herbal tea (without having to add lots of sugar) while also aiding in normal digestion. 20. An Itch Fix. If you have the after effects of a too much sun where skin is a little warm and itchy, apply a drop of peppermint oil (mixed with lavender) to cool, soothe and stop itching. 24. Don’t Make It Easy on the Critters. Many household bugs do not like peppermint oil — ants, aphids, beetles, plant lice, mice and cockroaches try to steer clear of peppermint. Just add to water in a spray bottle and spray where you think pests grace you with their presence! 25. Clean Naturally. Peppermint oil is a wonderful natural cleaning agent. Spray on counter tops and bathroom surfaces, scrub, and enjoy cleaner clean. 26. Sleep Like a Baby. If you find you are having a hard time sleeping, peppermint oil helps activate cold-sensitive receptors in the skin and mucosal tissues. When used this way, it may help you sleep like a baby. 29. Pick-Me-Up.Place one drop in palm of hand with one drop Wild Orange and one drop Frankincense and inhale for a mid-day pick-me-up. 30. Alleviate Internal Strife. 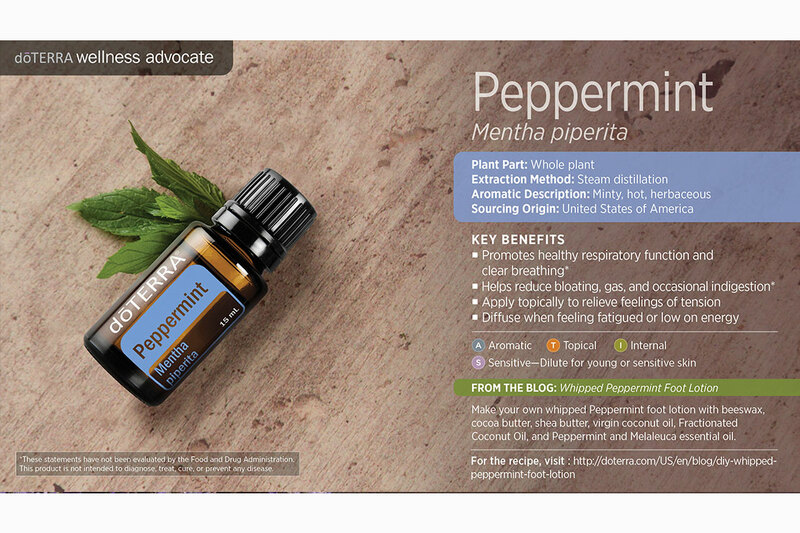 When used topically or internally, peppermint is a favorite to alleviate occasional stomach upset. 2. Take the Bite Out of It. Insects, creepies and crawlies are not too fond of the smell of lavender. In fact, they hate it. If you forget to go the prevention route, lavender is soothing to the skin. 5. Skip the Aerosol Chemical Sprays. Next time you are cleaning the bathroom, think of lavender and water in a spray bottle. 6. Take the Acid Out of Vinegar. If you clean with vinegar, but can barely stay vertical while using it, lavender is the answer. Just add lavender and vinegar together in the spray bottle and you’re set! 7. Therapeutic Dish or Laundry Soap. If your liquid soap smells a bit flat, you can add lavender for additional aromatherapy benefits and cleaning properties. It transforms your cleaning experience! 11. Help That Trusty Ball Cap. A well-worn, much loved ball cap can look great, but smell like a wild animal. Add 4-5 drops of lavender to make it bearable. It will be your favorite hat if you have a head tension too! 14. Pet Smells No More. Add a skiff or two of your baking soda and lavender mixture to carpets and vacuum up! If you have pets, (especially the un-potty trained variety), fight back with lavender! 15. Extra Potpourri Mileage. If you have a pot of potpourri that has seen its day, try refreshing it with a few drops of lavender essential oil. You’ll love the way lavender can change the feel of your home! 23. Soak Away Stress. Your muscles are tight. Feeling anxious and deadlines are eating at you. Your heart is racing. Where’s the pressure release valve? Right here, with lavender. Add to a warm bath, soak it in, soothe. 25. Target Blemishes at the Source. Lavender reduces the appearance of skin imperfections. 27. Boo Boo Relief. Lavender is great for the skin, and wonderful for relief from cuts and scrapes, especially if the cut or scrape is located wherever it’s difficult to keep covered. 28. Alleviate Occasional Ear Discomfort. You can warm lavender (don’t scald it), mix with olive oil and gently massage around the ears (not in the ears) and near glands in the throat. 32. A Hood of Wonder. 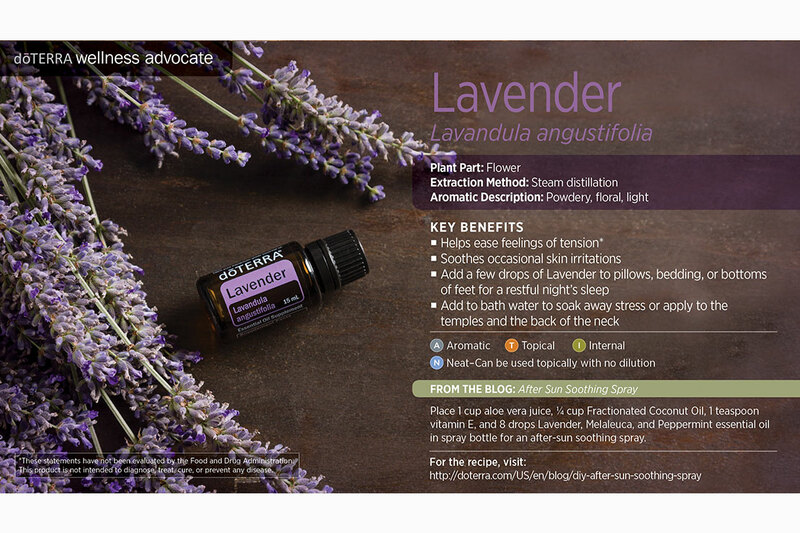 Lavender essential oil may help to support healthy immune function and response during times of seasonal threats. Add 4-6 drops to a bowl of hot water. Place a towel over your head, and inhale the vapor slowly and deeply. 34. Goodbye, Flo. Lavender essential oil can be particularly calming and support healthy moods during menstruation and menopause. 35. Fortify Your First Aid Kit. There are many dōTERRA products that would be tres glam additions to your First-Aid kit, but if you could only pick one, Lavender should be it. Why? Basic First-Aid kits are often geared toward soothing the skin and lavender is great for that, not to mention its calming properties!